In the world of small size distributions, SliTaz is one of the most remarkable. Not only does it have one of the smallest download images, but it can also run on modest hardware while offering graphical applications with familiar interfaces. It's one of the wonders of the Linux world. 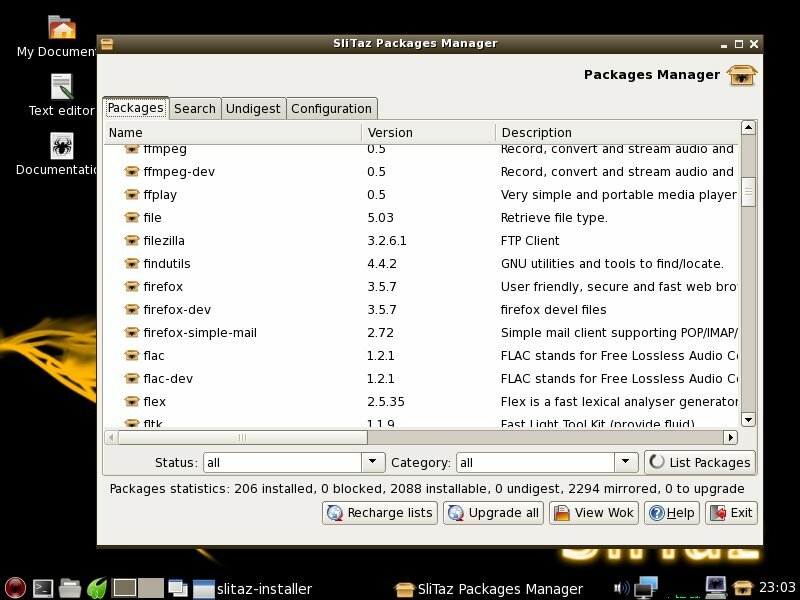 SliTaz ships as an installable live CD and features an attractively configured OpenBox window environment. Not only is it attractive, but also very familiar. Expected elements are in place on a lower panel such as an application launcher, system tray, task manager, pager, and traditional menu system. 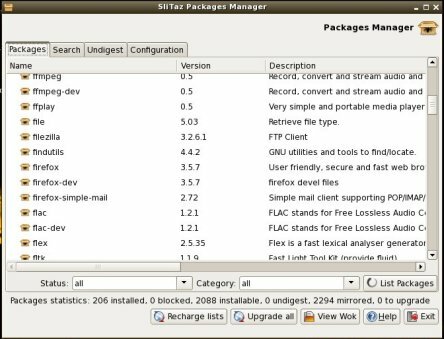 With the 30 MB ISO, one might expect only commandline applications, but SliTaz offers graphical applications for many tasks. For example, the Midori Web browser is featured and it offers many of the amenities that other more popular browsers have such as Speed Dial (visual bookmark page), tabs, and Private Browsing. Using the SliTaz Package Manager, get-flash-plugin can be installed to fetch and install Adobe's Flash Player. 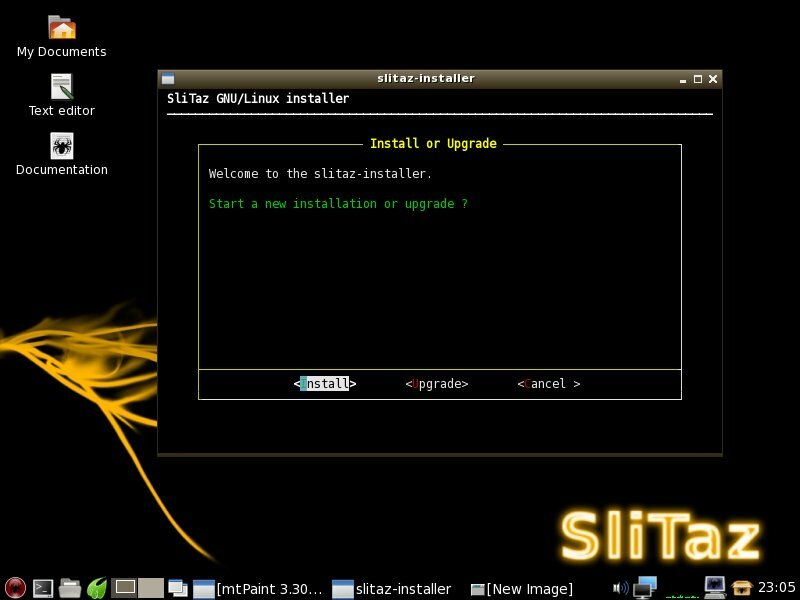 The SliTaz Package Manager is a graphical tool to install various software applications. It's appearance is similar to Sayabon's Sulfur and it offers many of the same functionalities found in other popular graphical software managers such as Synaptic. 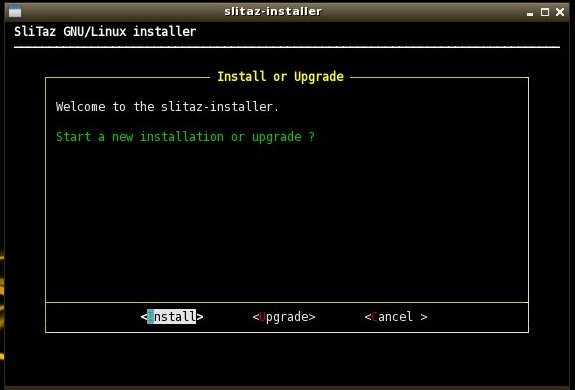 SliTaz repositories have lots of great software to outfit your newly installed SliTaz. The hard drive installer is a bit more text-based in appearance and does run in a terminal window, however, it is a wizard and asks the same sort of questions as found in other installers. You will want to pre-partition your hard drive before starting the installer though. Otherwise, it's just as easy to use as any other despite its old-fashioned appearance. SliTaz always gets positive reviews because of all it packs into that tiny package. Small light applications also equal high performance, so SliTaz would be perfect for some of your older or lower spec hardware. The specificiations of SliTaz state it needs an i486 or x86 processor and 192 MB RAM (although there are versions for even lower RAM). Even on modern hardware SliTaz has the one element all operating system should possess - FUN!